June Stats - 25436 Pageviews from 5807 unique visitors. Our most visited index pages, in order of popularity were: NEWSLETTER 135 - INDEX - ACCOMMODATION - ENQUIRY - BUSINESSES - CLASSIFIEDS - ATTRACTIONS - INFORMATION - REAL ESTATE - EQUINE - TIRAU - SHOPPING. Google’s +1 button, the search giant’s challenge to the Facebook "Like" button, is being introduced worldwide and from 27 June 2011 it started appearing on Google search pages globally and will be available on most Google search sites soon. In addition to an international rollout on search result pages, Google is expanding its rollout of the +1 button on websites across the world. The company announced partnerships with several publications, including The Telegraph, The Independent, Last.fm, SnapDeal, and El Pais. 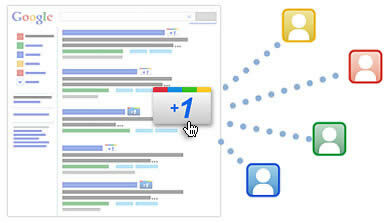 Google launched the +1 button in May as an attempt to increase its presence on the web. The button acts much like the Facebook Like or Twitter Tweet button. The company says it may use +1 data as a signal for improving search results in the future. Google describes the +1 button as the shorthand for "this is pretty cool" or "you should check this out." Click +1 to publicly give something your stamp of approval. Your +1's can help friends, contacts, and others on the web find the best stuff when they search. How do you see +1’s? The next time you’re trying to remember that bed and breakfast your friend was raving about, or find a great charity to support, a +1 could help you out. How do you show +1's? In order to +1 pages, you first need a public Google profile – if you don’t have a Google profile you can create one here. This helps people see who recommended that tasty recipe or great holiday destination. When you create a profile, it's visible to anyone and connections with your email address can easily find it. At the time of writing this article Google +1 doesn’t appear to have made it to www.google.co.nz yet, but Google recommends that now is a good time to get the buttons on your site as +1 buttons are already available in 44 languages and adding the +1 button could help your site to stand out by putting personal recommendations. It’s still largely unknown just how much these things are really getting clicked by users, but the buttons really offer nothing but benefits to website owners, as they provide a way for users to tell Google to rank their content higher. By having +1 buttons on your website, you are making it easy for visitors to endorse your website, or “like/recommend” the information on a particular by clicking the +1! Does +1 affect my site’s performance in search? Content recommended by friends and acquaintances is often more relevant than content from strangers. For example, a movie review from an expert is useful, but a movie review from a friend who shares your tastes can be even better. Because of this, +1’s from friends and contacts can be a useful signal to Google when determining the relevance of your page to a user’s query. This is just one of many signals Google may use to determine a page’s relevance and ranking, and they’re constantly tweaking and improving their algorithm to improve overall search quality. For +1's, as with any new ranking signal, they'll be starting carefully and learning how those signals affect search quality. Personalised annotations next to your page in search results may increase your site’s visibility and make your site’s snippet more compelling, which may in turn increase the odds that users will click through to your page. Will +1’s from my site show up in search results? If a user +1’s a URL on your site, the Google search result snippet for that URL may be annotated in search results. Who can see the +1 button in search? The +1 button shows up for signed-in users of Google.com using a modern browser. The downside is that you have to have a Google Account and be logged in for it to work. Who can see annotations from +1 buttons? People in their Gmail (or Google Talk) chat list. People in their My Contacts group in Google Contacts. People they're following in Google Reader and Google Buzz. Will users on mobile browsers see the +1 button? Google are not including the +1 button on mobile search results at this time. However, users may be able to see any +1 buttons you have added to your web pages. Yes, Google may show personalised annotations to any signed-in user who has a social connection to a +1. However, any Google user can choose whether or not to display their +1's on their Google profile.re +1’s public? How often will Google crawl my +1’d pages? +1 is a public action, so you should add the button only to public, crawlable pages on your site (not protected directories). Once you add the button, Google may crawl or recrawl the page, and store the page title and other content, in response to a +1 button impression or click. The information below shows us the top 10 entry, and exit pages for www.matamata-info.co.nz. As expected the index page ranks No. 1 and also, not surprisingly includes some of our top sites and many of our indexes. The exit pages are an indication that the visitor has found what they are looking for and exited via that page. (You can visit these pages by clicking on the links below). We can also see that just under 80% of visitors are going directly to the pages with the information they require and bypassing the index page and just over 15% of visitors are leaving via the index page. Site of the Month is Jellicoe Road Stables - Farmstay - Bed & Breakfast - they receive a free direct click through and feature image from www.matamata-info.co.nz to their website.